Learn how a slave became one of the leading influential African American intellectuals of the late 19th century. African American educator, author, speaker, and advisor to presidents of the United States, Booker Taliaferro Washington was the leading voice of former slaves and their descendants during the late 1800s. 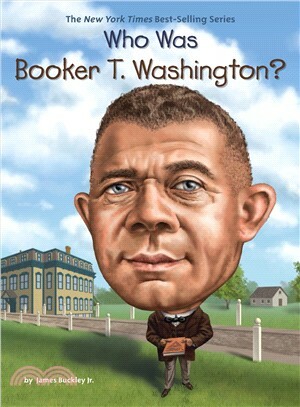 As part of the last generation of leaders born into slavery, Booker believed that blacks could better progress in society through education and entrepreneurship, rather than trying to directly challenge the Jim Crow segregation. After hearing the Emancipation Proclamation and realizing he was free, young Booker decided to make learning his life. He taught himself to read and write, pursued a formal education, and went on to found the Tuskegee Institute--a black school in Alabama--with the goal of building the community's economic strength and pride. The institute still exists and is home to famous alumnae like scientist George Washington Carver. James Buckley Jr. has written more than 50 books for kids, including Who Was Ernest Shackleton? and Who Was Roberto Clemente?